Sneak a Peek Into the Dreams Sands Explorer’s Club Camp Out! Nothing brings you and your loved ones together like the perfect family vacation. As kids learn more about the big world around them and delight in exciting first-time experiences, parents get to enjoy some well-deserved rest from the daily grind and have all of their needs catered to for once! Sometimes what parents really need is some time alone, just for two, whether it’s a day spent at the spa or a romantic dinner overlooking the ocean. The Explorer’s Club staff at Dreams Sands Cancun is American Red Cross certified, both in CPR and First Aid, and parents get a pager should they be needed for any reason. At Dreams Sands Cancun, the fully-supervised Explorer’s Club is there to give deserving parents a break and peace of mind. Kids ages 3 to 12 can have the time of their lives with days and evenings full of adventures and activities based around nature, science and exploration. 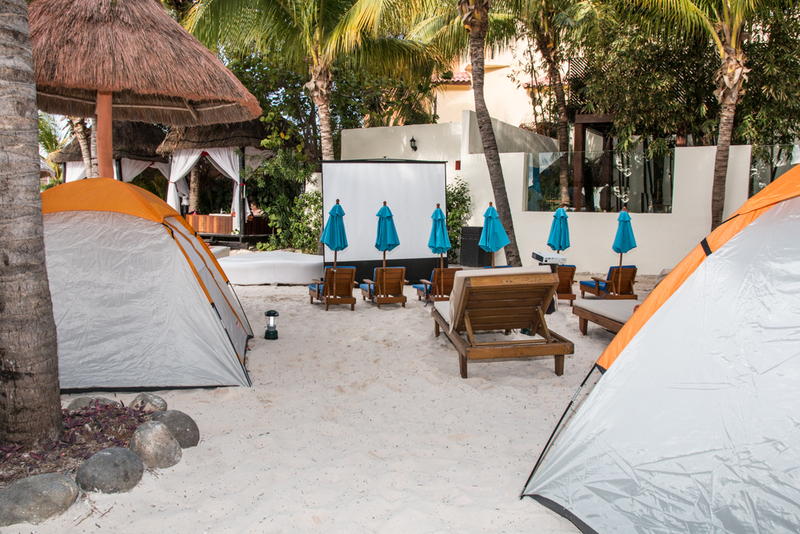 Every Thursday from 6:00 to 8:20 pm, the Explorer’s Club even offers an on-the-beach campout! 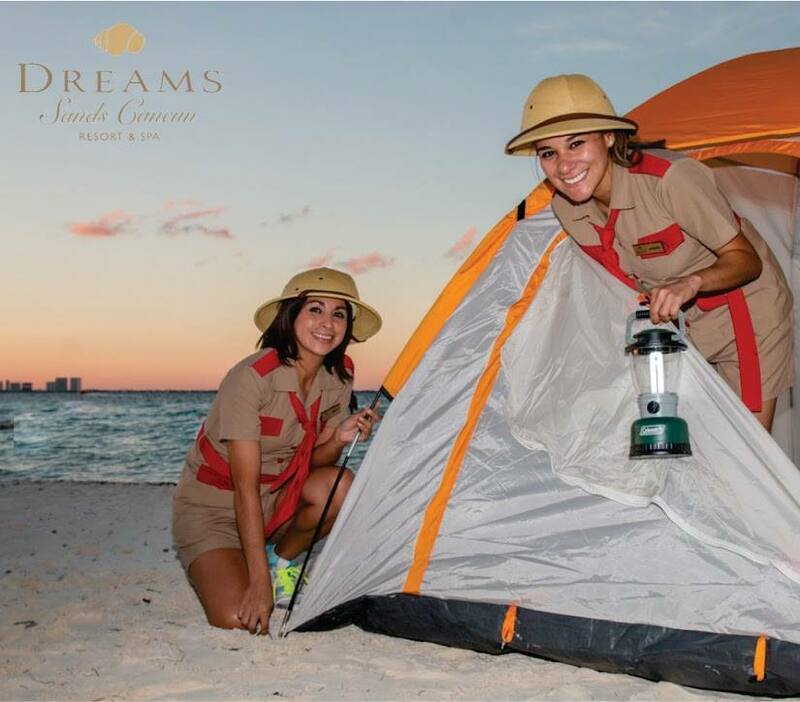 The beach at Dreams Sands Cancun is all set up for the weekly Explorer’s Club campout! Beach campout activities include sack races, dodge ball, jump rope and dancing. Once kids are all tuckered out, it’s time to settle in for dinner and a movie. Child-friendly favorites like pizza, hotdogs and popcorn are on the menu, along with vegetables, apple and grape juice. 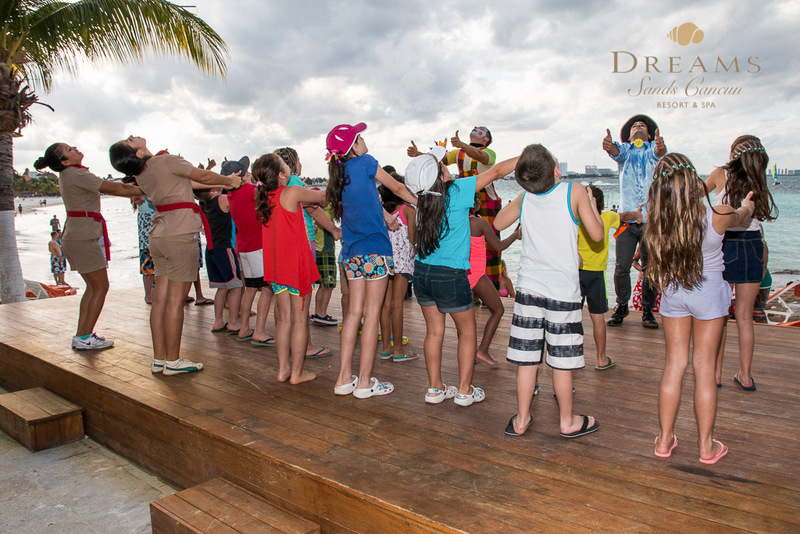 The Explorer’s Club at Dreams Sands Cancun offers all sorts of fun activities to keep kids involved and make sure they’re having a blast! Though sometimes the camp out looks like so much fun parents want to join in, the beach camp out is kids only! If you think your kids would enjoy the Explorer’s Club, book your Dreams Sands Cancun vacation by February 24, 2015 to receive up to 30% off your stay and up to $400 in resort coupons thanks to Winter GREATaways! This entry was posted in Dreams Resorts & Spas, Dreams Sands Cancun and tagged Beach Camp Out, Cancun, Explorer's Club, Mexico, winter greataways. Bookmark the permalink. ← No US Passport, No Problem at Dreams Sugar Bay St. Thomas! I would love to speak with someone from the front office but haven’t been able to find a telephone number. My family and I (5 rooms) stayed in Puerto Vallarta last year and have a wonderful time. We were all very pleased with Dreams. While we were there we learned it had been sold. Since we had such a grand experience I booked Dreams Sands, Cancun for myself and three friends for Jan. 31-Feb.7. Now reading some of the reviews I am quite concerned as the reviews are not good. I just can’t imagine with your reputation at stake you would allow this to happen. I hope I will recieve some type of communication from you that my fears of a great vacation are not needed.